Shazam! (film, 2019). A 2019 American superhero film with "PG-13" rating by Warner Bros. Pictures. Directed by David F. Sandberg. Official Trailer. Shazam! is a 2019 American superhero film directed by David F. Sandberg. SHAZAM! - Official Trailer 2 - Only In Theaters April 5. In 1974 Upstate New York, young Thaddeus Sivana is transported to the Rock of Eternity, a magical temple hidden in another dimension. He meets the ancient wizard Shazam, the last of the Council of Seven Wizards, who has spent centuries searching for a new champion who is "pure of heart" after the previous champion went mad, releasing the Seven Deadly Sins upon the world. Thaddeus is tempted by the Sins, entrapped in statues, and is deemed unworthy and banished back to Earth. 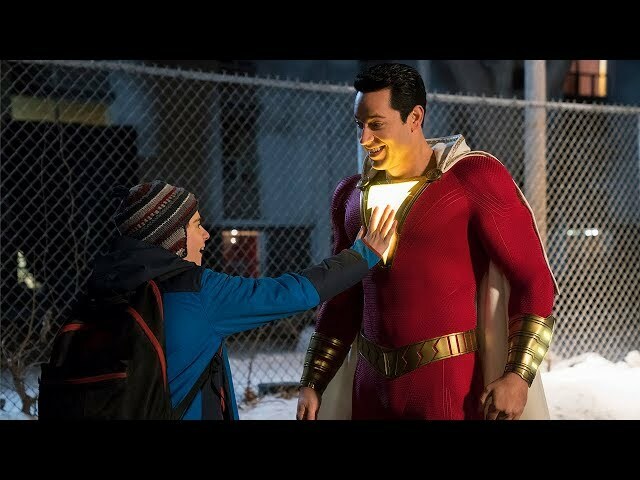 In present-day Philadelphia, foster kid Billy Batson runs afoul of the law while searching for his birth mother, and is placed in a group home run by Victor and Rosa Vazquez with five other foster kids; Mary Bromfield, Pedro Peña, Eugene Choi, Darla Dudley and Freddy Freeman, a superhero enthusiast. Meanwhile, the adult Sivana discovers a way to return to the Rock of Eternity. There, he steals the Eye of Sin, becoming the Sins' vessel and besting the Wizard before returning to Earth. At school, Billy saves Freddy from bullies and is chased into a subway, where he is summoned by Shazam and chosen as his new champion. 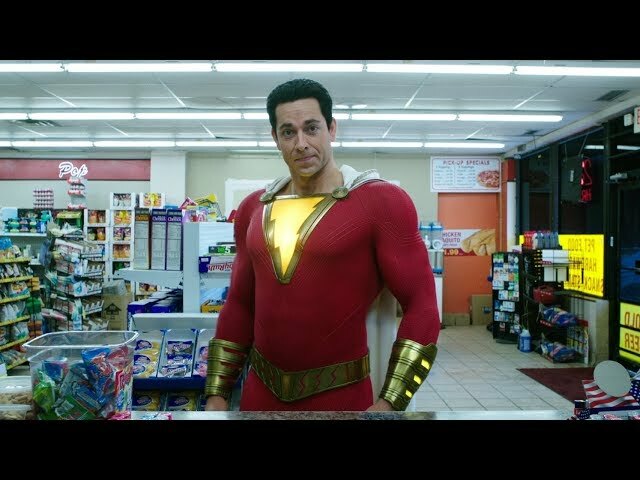 By calling Shazam's name, Billy is transformed into an adult superhero endowed with the wizard's name; thanking Billy, the wizard turns to dust, leaving behind his staff. Returning home, Billy and Freddy explore the extent of his newfound powers; electricity manipulation, invulnerability, superhuman strength, speed and flight. Freddy's YouTube videos of Billy testing his powers become a viral sensation, and Billy begins skipping school to use his powers for money and fame. Seeing Shazam's champion save a bus on the news, Sivana easily defeats him and demands he surrender his powers, but Billy transforms back into kid form to escape in the crowd. Sivana deduces Billy's identity and abducts Freddy to find Shazam's champion. Mary Bromfield: Billy's foster sister at his new home, the "den mother"
Principal photography wrapped on May 11, 2018. 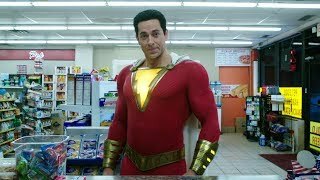 The film Shazam! was scheduled to be released by Warner Bros. Pictures on March 15, 2019 (Toronto), on April 4, 2019 (Germany) and on April 5, 2019 (United States). The duration of the film is 132 minutes. With a budget of $80 - 100 million, the film grossed over $202.4 million. Shazam! got high rating from critics. The audience also likes the film. Audiences polled by CinemaScore gave the film an average grade of "A" on a scale ranging from A+ to F.